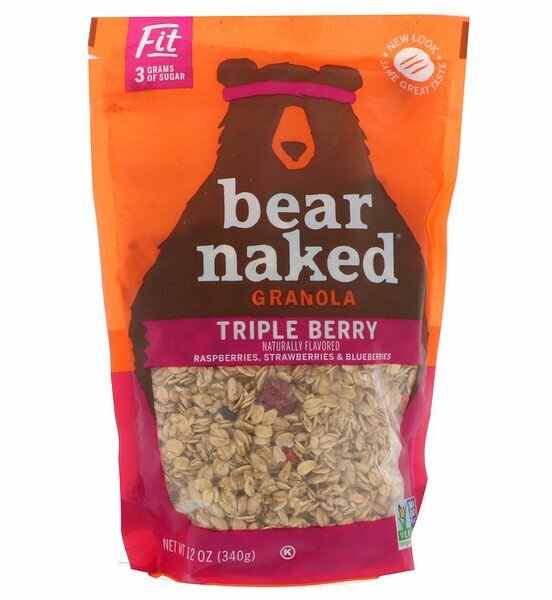 Every bag of Granola starts with us foraging for irresistible flavors and bountiful chunks of goodness. This light and crispy Granola is made with Whole Grain oats, a medley of strawberries, raspberries, and blueberries with a taste so craveable you'll want to maul the bag. So, next time your stomach growls, grab a pawful of Bear Naked Granola. 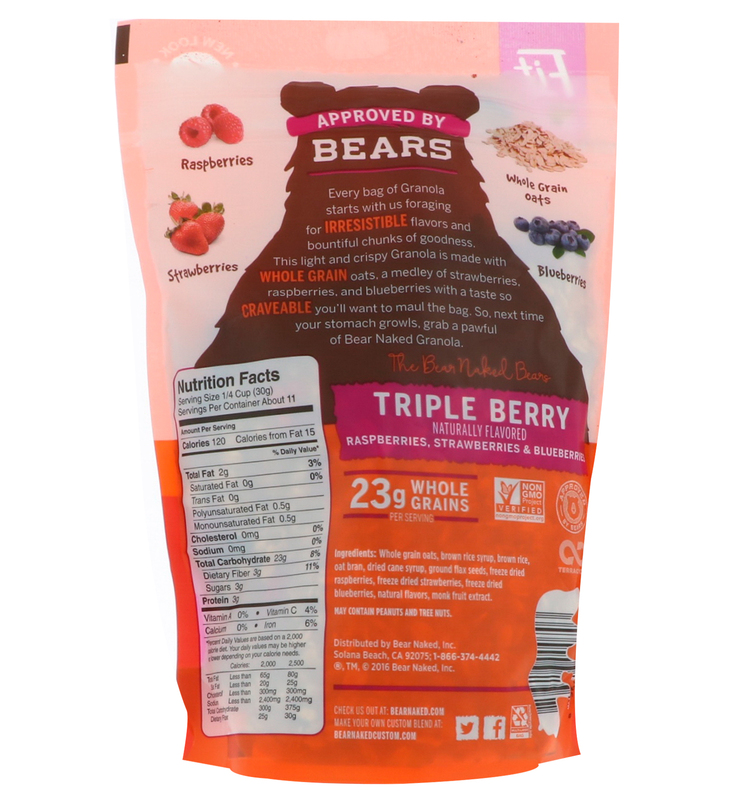 Whole grain oats, brown rice syrup, brown rice, oat bran, dried cane syrup, ground flax seeds, freeze dried raspberries, freeze dried strawberries, freeze dried blueberries, natural flavors, monk fruit extract. *Percent Daily Values are based on a 2,000 calorie diet. You daily values may be higher or lower depending on your calories needs.